Fiber is essential for maintaining healthy digestive system. 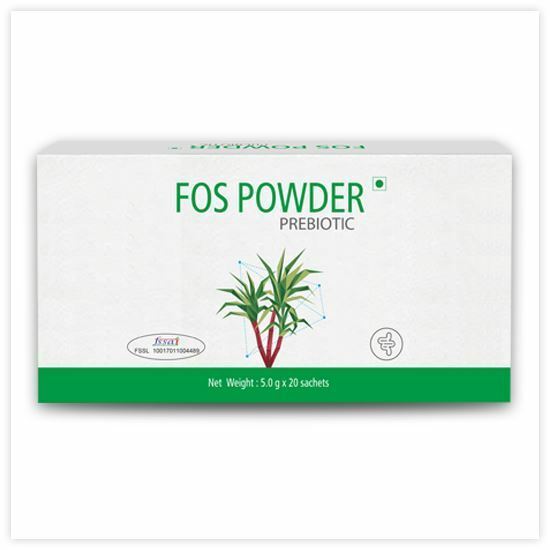 Daily dose of Tiens FOS powder provides dietary fibers that help to keep the stomach and bowels healthy. It consists of Fructo-oligosaccharides (FOS) which provides required fiber and acts as food for beneficial bacteria (Bifidobacteria and Lactobacilli in particular) present in our intestines. These bacteria in turn regularize bowl movement and prevent stomach infection. FOS powder dissolves easily in water producing a clear tasteless, low viscosity liquid that helps to meet the daily requirement of dietary fiber. • Regulates fine environment of the intestines. • Helps to prevent constipation. • Prevents growth of pathogenic bacteria. • Lowers cholesterol levels and helps to prevent hypertension. • Reduces toxins in the body. • Promotes growth of Bifidobacteria-beneficial bacteria.